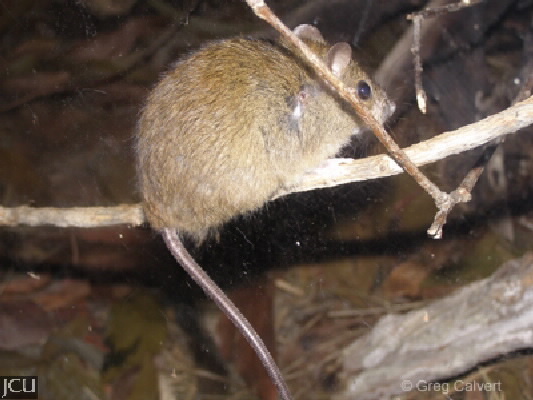 This melomys, which is nocturnal, is found in a variety of habitats ranging from grasslands to swamps and even mangrove communities. It eats seeds, leaves and fruits and the scats are small and pointed at one end. The body is reddish-brown, the tail is dark above and whitish below, the hind foot is rarely more than 2.6 cm long.